Park Hang-seo wanted a win in his debut match and Vietnamese players wanted a win under their new coach. 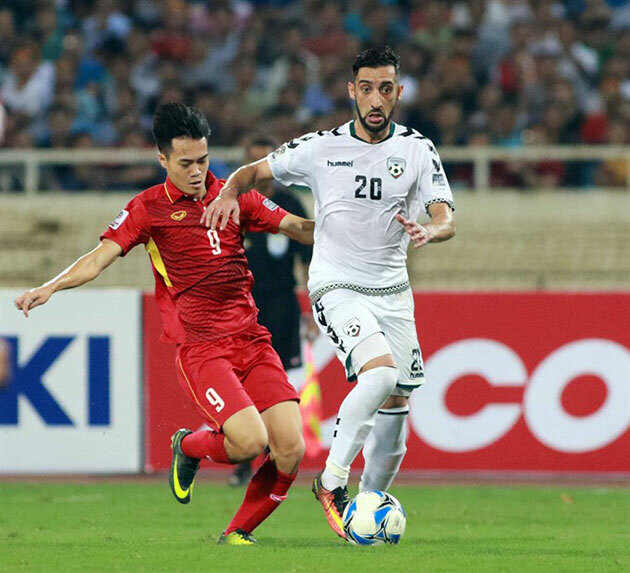 However, the Afghanistan team did not let that happen, holding Vietnam to a goalless draw in the Group C of the 2019 Asian Cup qualification in Hanoi on November 14. The visitors did an even better job than what their coach Otto Pfister had planned. “It is a pity that we could not grab three points from this match. My players did not play as well as they did in training,” Park said at the post-match conference. “I had to suffer a little pressure in this match, but I and my players worked hard for the game. (A draw) is an acceptable result because we have earned the (Asian Cup) slot. We need more time together and players could familiarise themselves with a new playing style,” said Park who finally thanked his players for their performance on the day. “I am not happy with the result of the match because in 90 minutes Vietnam had only one threatening chance but Afghanistan had four clearly opportunities,” said Pfister, who congratulated Vietnam for their berth in the Cup finals. With one point from the game, Vietnam are placed second in the group with nine points. Jordan who beat Cambodia 1-0 in an early match at the National Olympic Stadium in Phnom Penh take the top with 11. Jordan and Vietnam sealed their berths at the Cup finals which will be held in the United Arab Emirates in 2019. It was the best ever result for Vietnam as it was their first official ticket of the team. Earlier, they had a chance to compete in the Cup in 2007 as the hosts. The top two teams will play each other in the last group round match on March 27. However, the result of the game is just to identify the group’s leading team./.